I spent most of today in a sort of stupor, attempting to get on with my work, watching the death toll and number of injured rise, and letting friends and family know that I was alright. It is difficult to look beyond the immediate emergency, to see how Brussels might change. It has to change. The attacks today could happen anywhere, and similar terrible events have, of course, occurred in Istanbul, Ankara, Paris, Madrid, London, New York, and many other places. But there are reasons that Brussels managed to gain the title of ‘capital of terrorism’. Brussels is an open city: it belongs to everyone who passes through it. That is its charm, and sometimes its curse. This openness should be the kernel of how the city changes from here. In the coming days and weeks, when we are asking what went wrong and who was to blame, we should ask these questions with the intention to reshape the city, to include and empower, and to mix and celebrate the uniqueness that is Brussels. 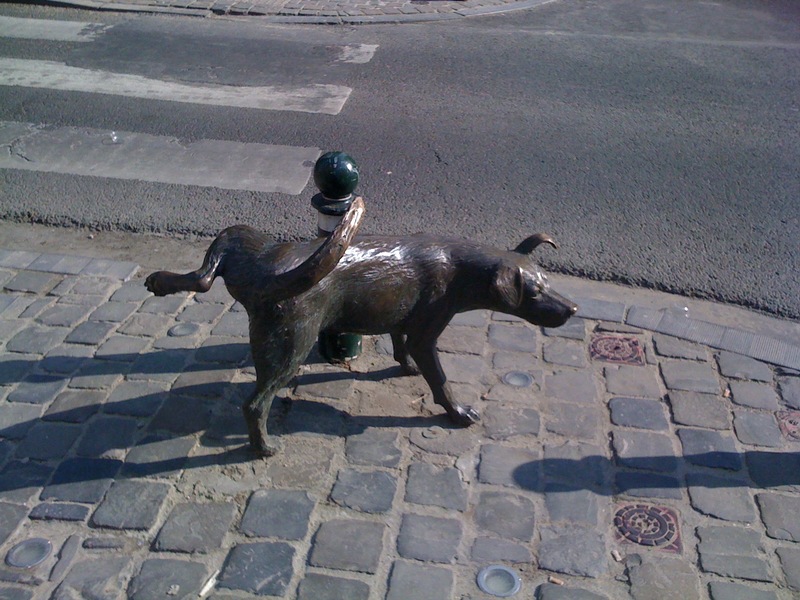 It’s not for nothing that the symbol of the city is a mongrel.